It is a quick eats place BUT the interior does not portray that at all. Cool wallpapers to neon signs, it’s definitely the place to be. 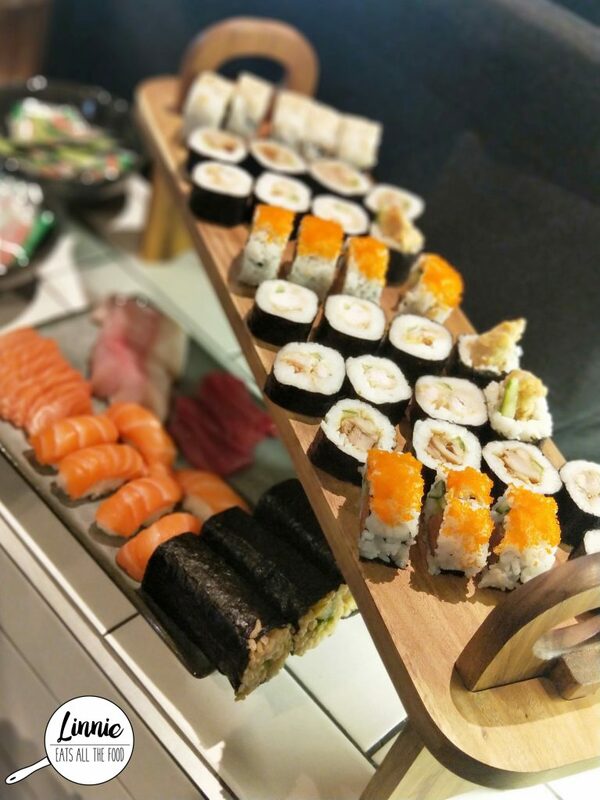 We were lucky enough to check out the sushi range from sashimi to hand rolls to nigiris! It all looked so pretty and so fresh. 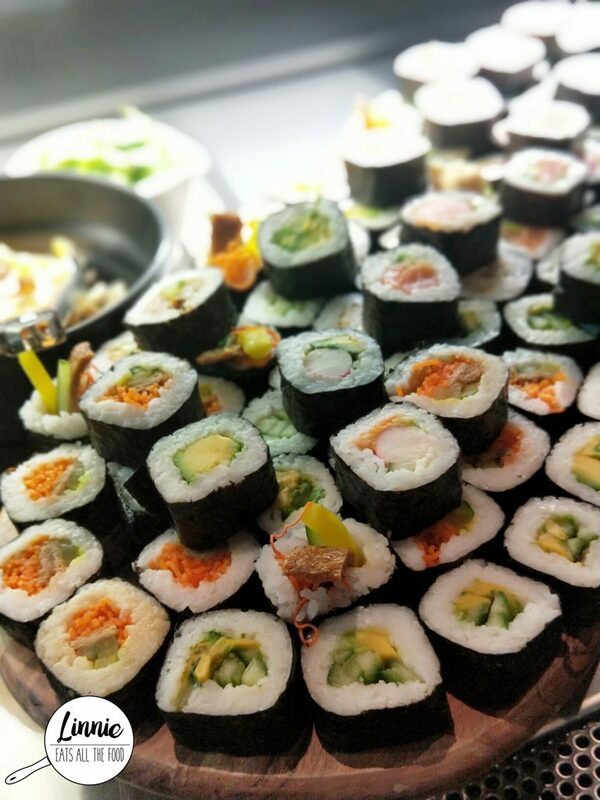 We did find the rice to be a touch hard and was missing a touch of something but the sushi fillings were delish. 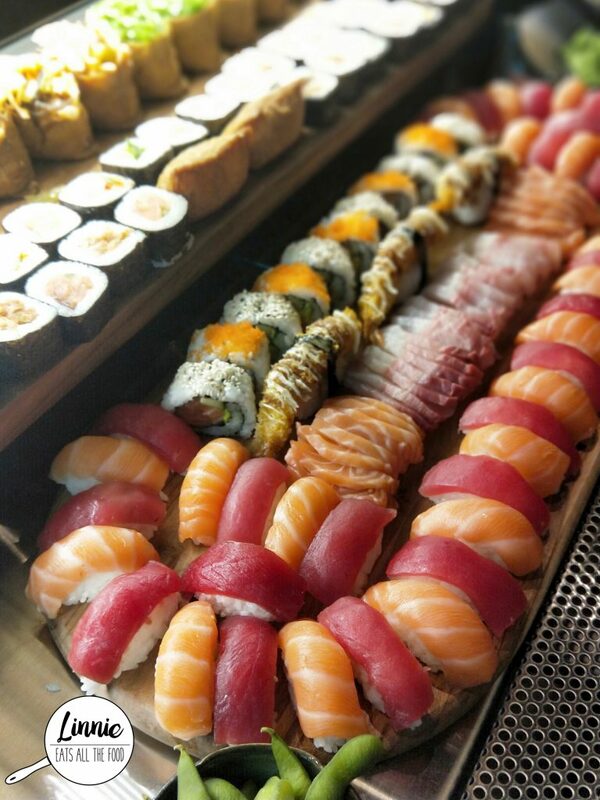 The salmon nigiri were a definite YES from us. 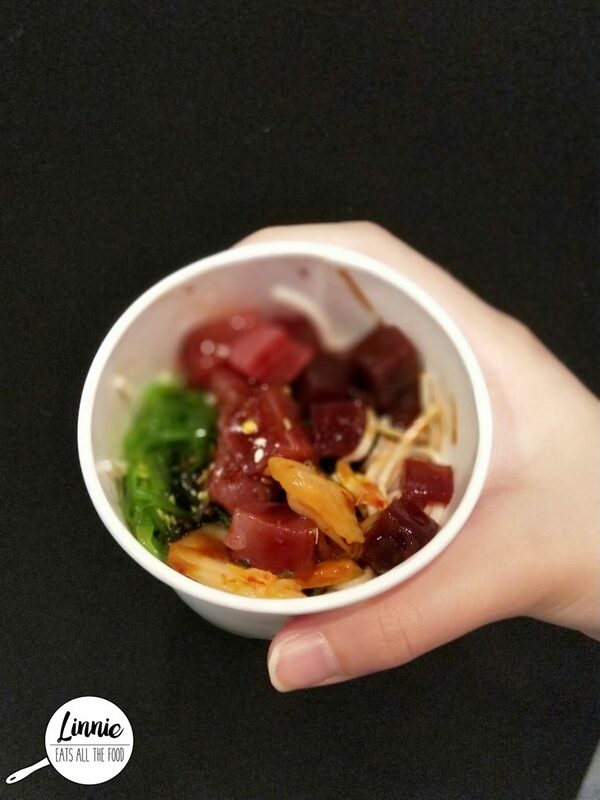 There’s a poke bowl station where you can make your own bowls. 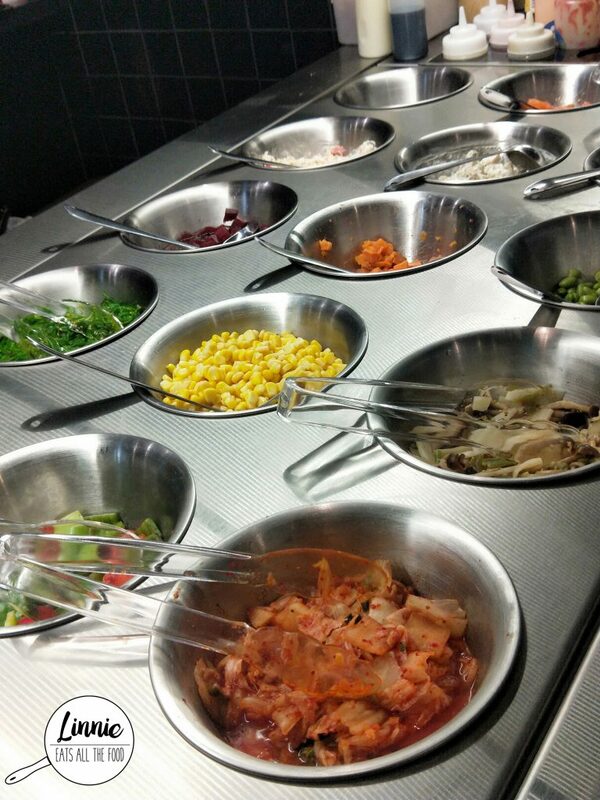 From rice to soba noodles topped with kimchi to edamame and a squeeze of spicy mayo, there’s something for everyone. 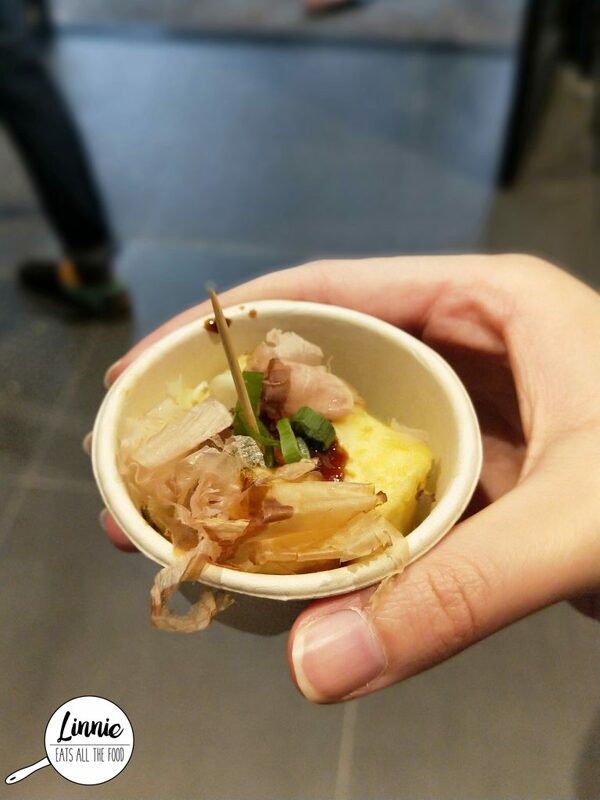 The ingredients were fresh and the portions were generous for a taster. 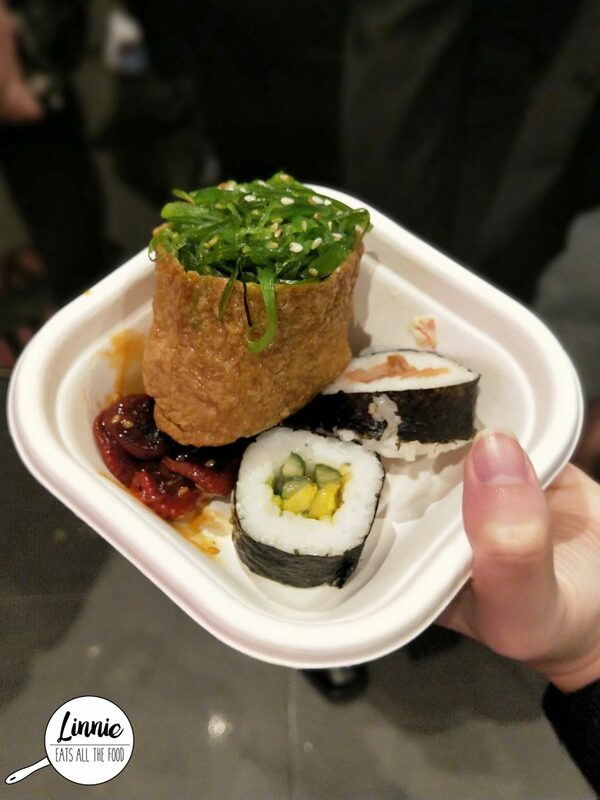 The tamagoyaki (egg roll) was so fluffy with a sweetness to it. It was egg-cellent. 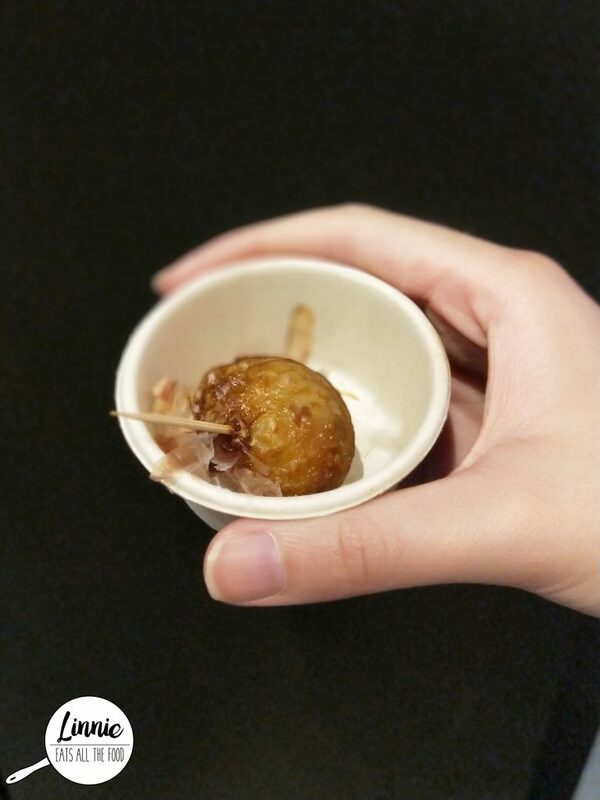 The takoyaki (octopus ball) was crispy on the outside, soft and tasty on the inside. 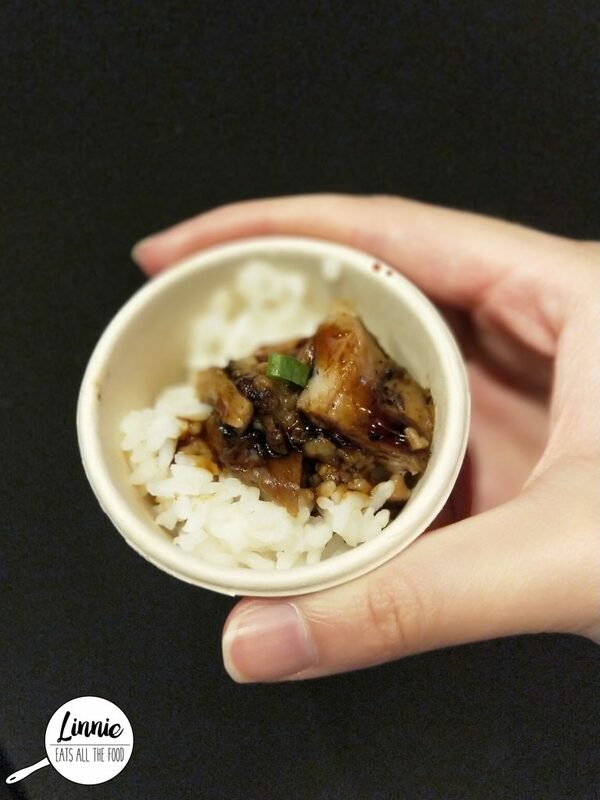 The chicken terriyaki served on a bed of rice was oh my frigging gosh delish! A touch of saltiness, a touch of sweetness, a touch of frigging flavour magic. The chicken was succulent too. 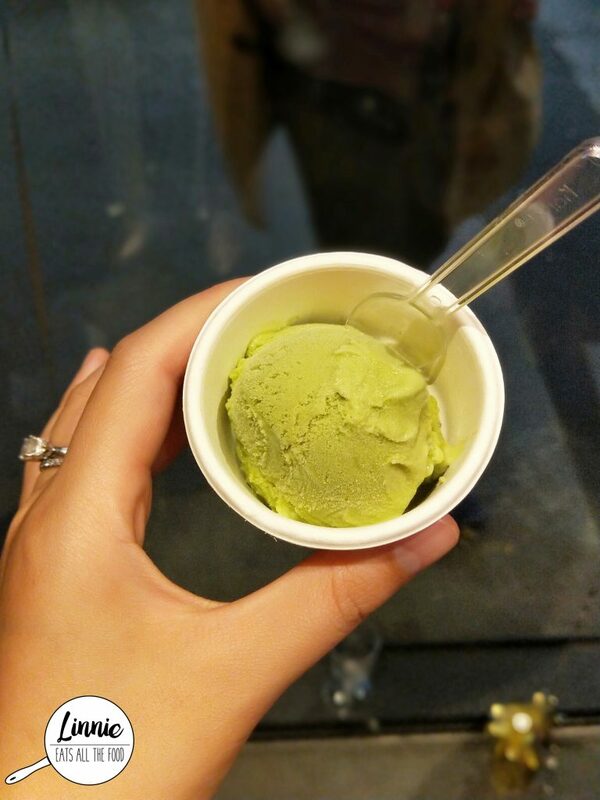 To end the night we got green tea ice cream. It was smooth but it wasn’t strong enough in green tea flavour for me. It was quite refreshing though. 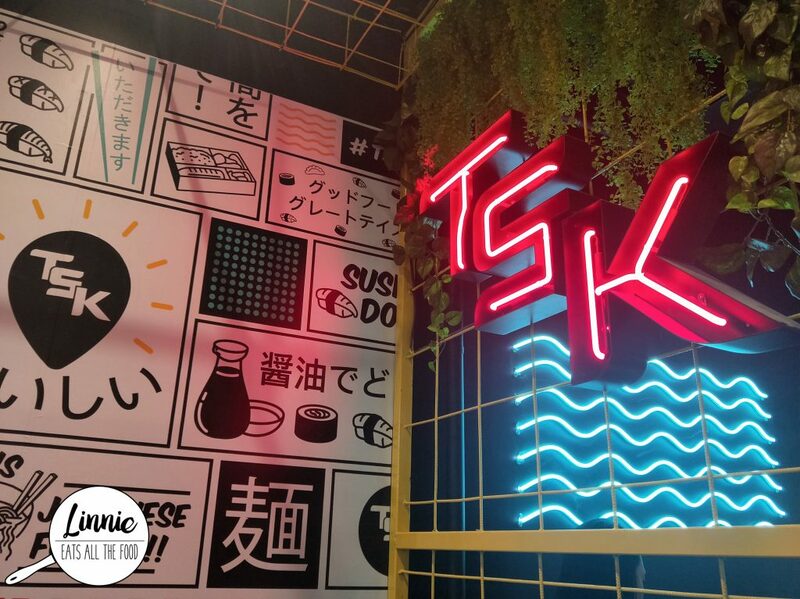 TSK South Melbourne are one of many branches in Melbourne and you can definitely see why they’re expanding. 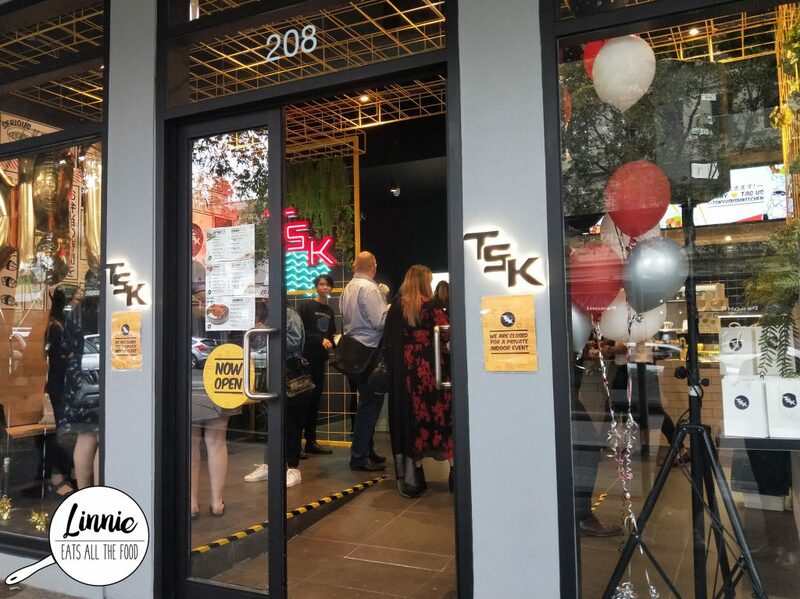 It’s quick, it’s fresh and it’s frigging delish if you’re craving a bit of Japanese if you’re in the area. Disclaimer: I was invited to attend by First Chapter Agency and TSK and all opinions expressed are my own.